The Ducati Scrambler has been a hot item in the bike world these days. With the bike’s popularity soaring, it was only fitting that Ducati presented the Scrambler in a totally different light at the upcoming Motor Bike Expo in Verona, Italy. 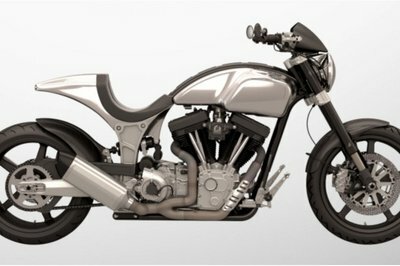 With that in mind, the Italian bike maker decided to enlist the help of three of Italy’s best aftermarket companies: Deus Ex Machina, Officine Mermaid, and Mr Martini. That, ladies and gentlemen, is what A-list casting looks like. Each custom builder will be presenting three different iterations of the Scrambler based on the three variants of the bike. For its part, Ducati was clear on its instructions to the tree builders: do whatever you want with it. Naturally, the builders took that edict to heart. Deus Ex Machina got the ball rolling by focusing on the Scrambler’s aluminum bodywork and working on adding a single-piece tail, number-plate support and a headlight inspired by speedway bikes. 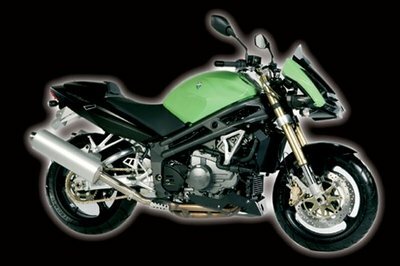 The bike also features an asymmetric mudguard and a number of repositioned equipment, including the filter within the frame, the disc brake and, the dedicated exhaust. The final piece of this puzzle was to give the bike an apt name, which Deus did by christening its creation “Hondo Grattan”, which is named after the horse that dominated on the Harold Park race track. Next up was Mr. Martini, which opted to give the Scrambler an American-inspired design, turning the bike into an attractive cafe racer. 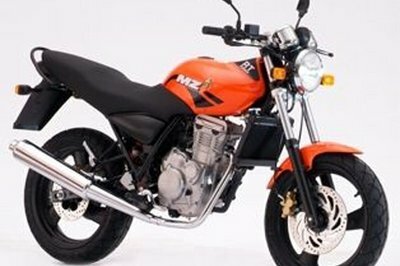 Despite the evolutionary styling, the bike also has a slew of Scrambler details, including the high exhaust and the knobby tires, complementing the changes made to the nose fairing, the tail-piece, the exhaust, the foot peg, and the handlebar mountings. Appropriately enough, Mr. Martini decided to coin the nickname S.C.R for its creation. That’s an acronym for Scrambler Cafe Racer, the perfect name for a bike the embodies the qualities of both bike designs. Finally, Officine Mermaid lived up to its reputation as a builder that makes the most of what it has. 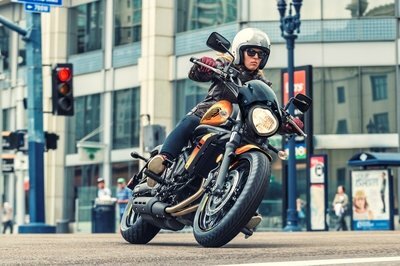 That’s exactly what it did with the its Scrambler, giving the bike a somewhat spartan, rough-and-tough look that imbibe the characteristics of the Ducati bike. It’s not the flashiest of bike builds, but that was intentionally done to give the Scrambler the look of a bike that’s been through a lot of wear and tear. From the paint-stripped fuel tank to the roughed up metal mudguards and the minimised exhaust, Officine Mermaid’s work on the Scrambler, dubbed “Scratch”, is the personification of a utilitarian build done exactly the way it should be. The three Ducati Scrambler bikes will be in attendance at the Motor Bike Expo in Verona, Italy from January 23 to 25, 2015. The Motor Bike Expo is the perfect place to showcase the Ducati Scrambler. More importantly, it’s the perfect place to showcase the numerous custom build possibilities for Ducati’s new roadster bike. 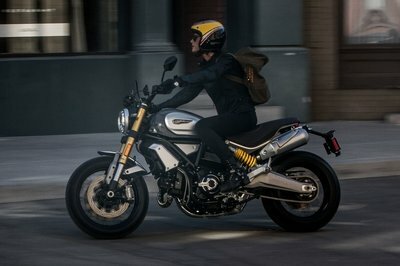 I have a feeling Ducati planned this out carefully because it knew that the three custom-built versions of the Scrambler would be getting a lot of attention from fans and the media alike. On that end, the Italian bike maker’s decision was a stroke of pure genius. Deus Ex Machina, Officine Mermaid, and Mr. Martini all created three incredibly customized Ducati Scramblers. Each of the three Scramblers come with a unique flavor that visually highlights the all-around design versatility of the bike while also re-establishing the stature of the three aftermarket companies as three of the best post-purchase bike builders in Italy. It’s hard for me to pick just one of these creations, so to be safe, is it possible to just pick them all? I know it’s a cop-out answer, but picking any one of these three custom Scramblers is like picking who my favorite Victoria Secret angel is. There are no wrong answers. Only right ones...three times over.